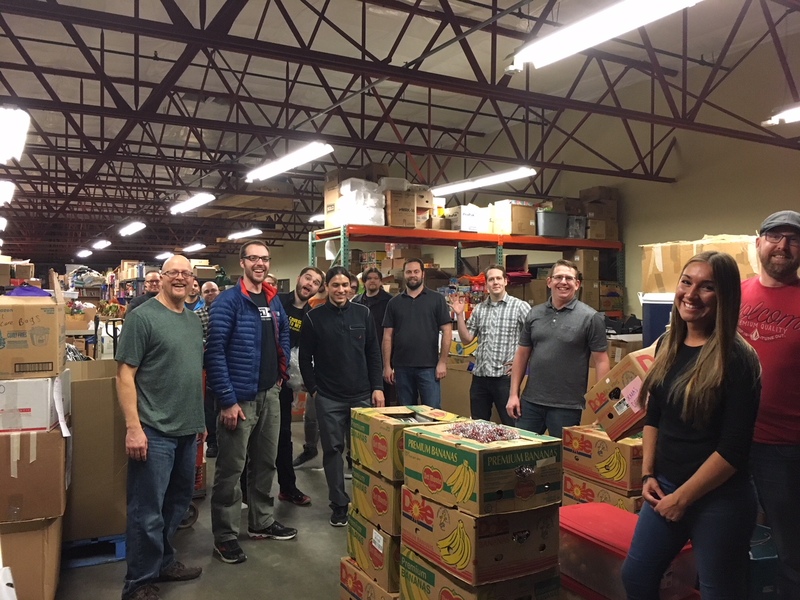 In the spirit of giving back and team building, PLEXSYS employees gathered together in December to donate their time and skills to the local community through service at the Share Aspire Center in Vancouver, WA. Teams spent the day building desks, setting up computers, meticulously organizing, cleaning the warehouse, and prepping the facility for future events. “We loved having them here, and they were very self-sufficient and motivated to do any projects I had for them. They just chipped right in,” commented Dellan Redjou, Share’s Director of Volunteers and Community Resources. Overall the event was a big success and the Share staff was grateful for all the hard work that was contributed to the center. Share’s mission is to lead the hungry and homeless to self-sufficiency by providing food, shelter, housing, education, advocacy and compassion through the strength of our community. Share provides services and programs throughout Clark County, Washington. If you would like to volunteer or learn more about Share visit www.sharevancouver.org or call Ms. Dellan Redjou at (360) 448-2121.